The Ministry of Defence’s Counter Terrorism Science and Technology Centre has unveiled a visual identity by Roundel, as it seeks to raise its profile among other Government departments. Set up to focus on the technological and technical responses to terrorist threats, the CT Centre will act as a hub for the MOD’s technical research in counter-terrorism, and will work with all areas of the UK Government, as well as overseas partners. 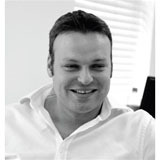 According to Roundel director Mike Denny, the secret nature of the centre’s work places restrictions on a visual identity solution. ‘They need to make themselves more highly visible, but this is very difficult as you can’t be specific with the imagery you use,’ says Denny. To solve this problem, the consultancy appointed photographer Harriet Logan to create a portfolio of ‘abstract or semi-abstract’ images, which will provide an identity for the centre’s print publications, including stationery, brochures and reports. ‘There are still security issues and problems, but people like to use photographs, so my view is that we needed abstract images and colours,’ says Brigden. A typographic solution is used for the primary logo, with a black-and-red colour palette. 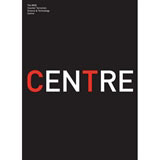 The letters CT are highlighted inside the word ‘Centre’, suggesting ‘the enemy within’, according to Denny. 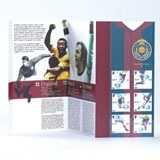 Roundel is now working on design guidelines that will allow the CT Centre to ‘discipline’ the way it looks.